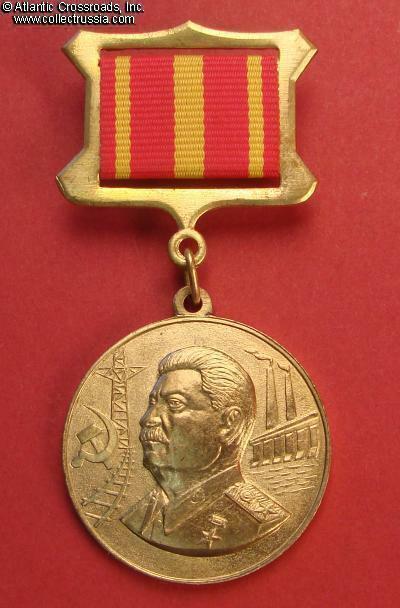 Stalin 120th Anniversary Medal, 1999. 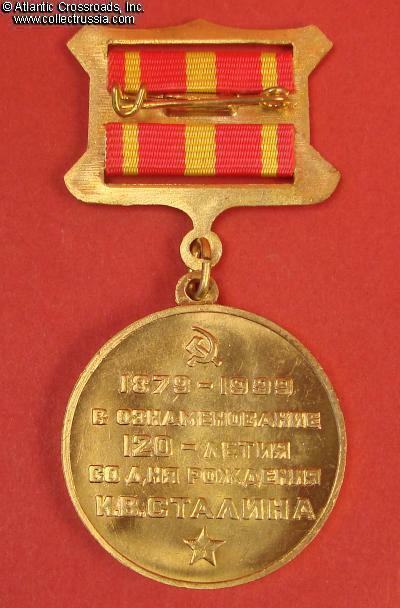 Modeled from the Soviet Lenin Centenary Medal. Shows Stalin's profile against the usual backdrop of railroad, high voltage power line, smokestacks and hydroelectric dam. 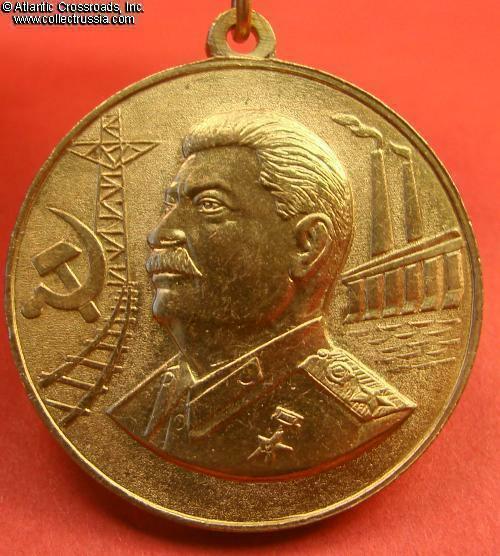 This is one of the alternative medals issued by the Communist-run Congress of Peoples Deputies of the USSR - legislative body of the Soviet Union that continues to operate even now, years after Soviet Union's collapse! 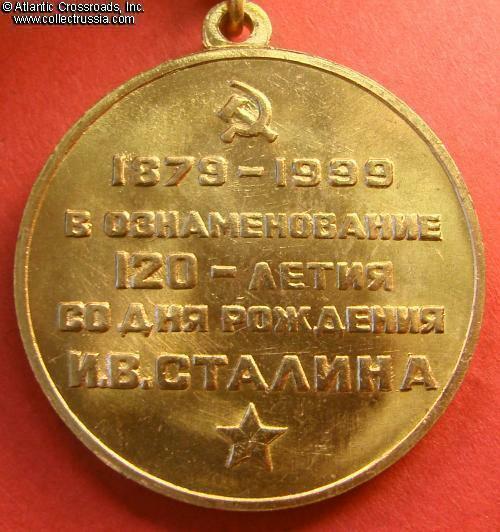 Naturally, these medals never were approved by the President of Russia and therefore never became a part of the official award system of modern Russia.